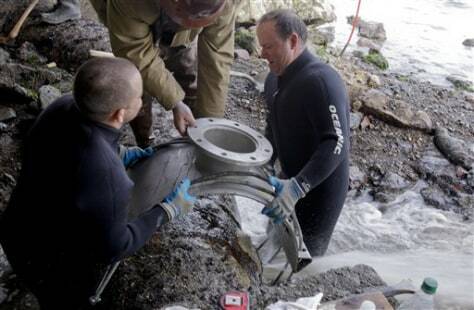 Crews place a valve over a pipe leaking treated sewage in Sausalito, Calif., on Feb 18. The 23-year-old pipe ruptured and sent a 400,000-gallon plume of waste into the bay. Health warnings were posted on nearby beaches for more than a week and a fishing pier had to close.